Many homeowners consider adding roof windows or skylights to their homes to brighten up interior spaces and add value to the home. But these windows should be selected and installed with care to make sure they don’t end up causing costly damage to the home. Roof windows are stylish and versatile, but they also serve practical purposes. Homeowners may feel that windows are not bringing in enough light to satisfy the occupants’ needs. Many homes have overhangs, trees and bushes or other impediments that block or reduce the natural light entering the home from regular windows. 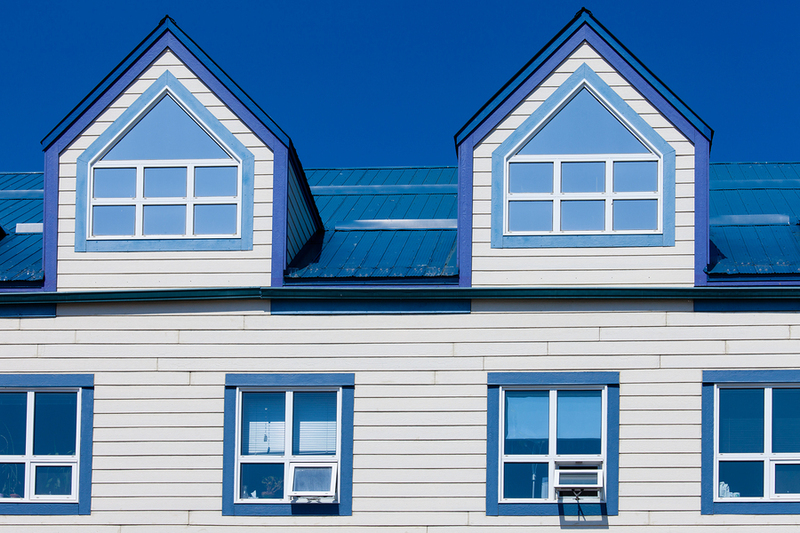 Townhomes and small structures may have fewer windows than desired. Or, existing windows may be oriented away from the sun, limiting their use as a light source. Roof windows provide a perfect solution for these situations when more natural light and openness is desired. Natural sunlight is good for health, improving circadian rhythms, helping people keep a healthy sleep schedule and can improve mood. Seeing the open sky, day or night, is relaxing and enjoyable to many people. Allowing natural light into the home also helps keeps energy bills down as there is less need for artificial lighting. Roof windows help the home feel more open, spacious and airy. Roof windows can serve all those purposes while improving the home’s aesthetics and even adding to the resale value of the home. Once the decision has been made, the homeowner should consider the different kinds and styles of roof windows to find the best fit for their home. While the terms are used interchangeably, roof windows can be distinguished by different names that call out small differences in how they are situated on the roof and sometimes on function. Different descriptions may include roof windows, skylights and dormers. 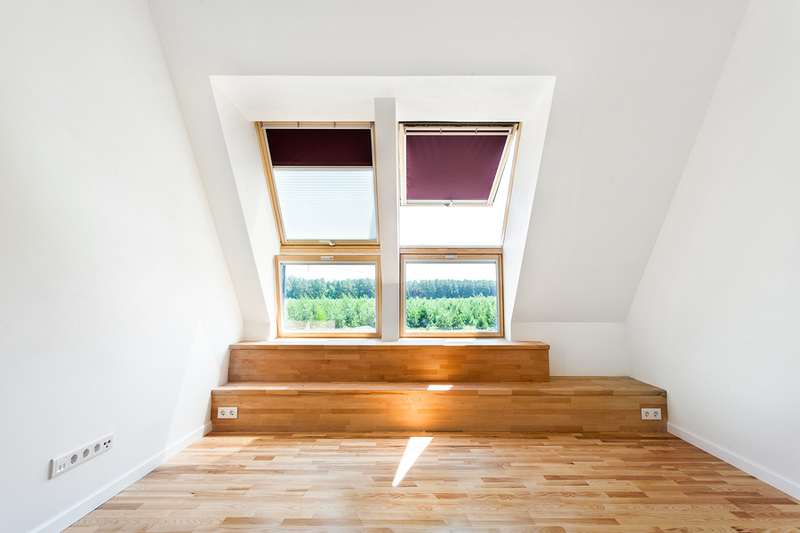 Skylights are usually fixed windows that follow the angle of the roof. They serve to funnel light from the roof opening to interior rooms of the house. Most often, they cannot be opened and closed, but they are airtight, used mainly to enhance light inside the home or building. 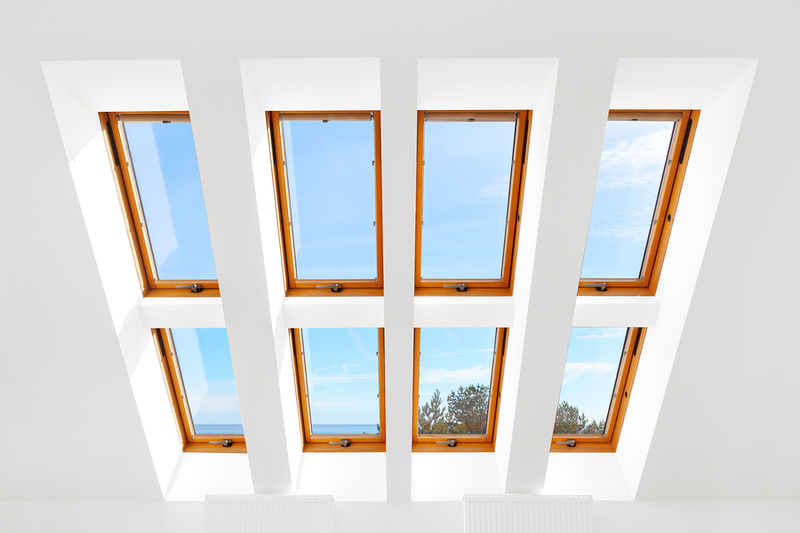 Roof windows may differ from skylights if they function more like regular windows. They usually can be opened like windows and may sit at a gentle angle (usually no more than 15 degrees pitch) to the roof to allow for a more expansive view. These windows are ideal for upstairs lofts and bedrooms and are often used in narrow rooms, where wall space is restricted. Dormers are another kind of rooftop window. These roofed structures jut out from the main part of the house, usually at a vertical pitch, parallel to the walls of the home. There are several kinds of dormer windows, many quite decorative. While they are a very traditional style of window found on older homes, they are often also added on to already existing buildings during a renovation to add space to the interior. Skylights and roof windows bring in light and warmth to the interior. One of the disadvantages of stationary skylights in warm climates is that, depending on orientation, the glass may magnify the heat from the sun, making the room hot. Operable skylights are more expensive, but solve that problem by allowing the window to be opened using a crank. Because skylights are located on the ceiling, they may be accessed with a pole or electronically. They may even be programmed automatically. Automatic skylights may be set to open and close at certain times, and can even detect rain. Skylights should be UV rated, protecting the inside from solar rays. Thermal protection on quality skylights improves energy efficiency, preventing leakage of heat or air conditioning. The skylight should not allow water leaks from rain and snow on the roof. Leaks can occur with poorly designed skylights or due to poor installation. It’s important to get expert advice when starting a skylight or roof window project and invest in the right solution to avoid even more costly repairs later on. Roof windows, sometimes called sky windows, are actually windows that open wide and are usually built within reach of people. Unlike most skylights, they usually open at the center and can also be turned around so that all areas are easy to reach and clean. Some manufacturers use the terms roof window and skylight interchangeably, but the most important thing is to find the best style for you. The most important thing to focus on when installing a new roof window or skylight is planning. You want to maintain the structural integrity of your home while incorporating your new fixtures. Cutting rafters, for instance, will weaken the roof structure. 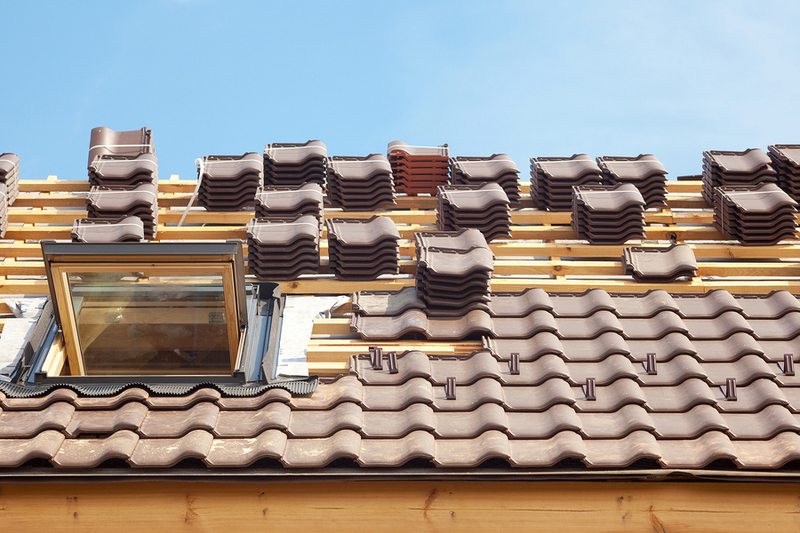 Be sure to consult with your roofer who will know your roof’s construction and status. While you may have a location in mind, it’s important for your roofer to consider where new pane can be installed in relation to the rest of the roof system. Also remember to check with your local government as you may need to obtain a building permit to make exterior changes to the home. Choosing the right product is very important as it will become an integral part of your house for decades to come. It’s important to select a quality skylight that will not leak air or water. A poor quality skylight or improper installation can lead to heat loss, water leaks, mold, stains and other problems. Before you buy, consult you professional roofer to help you make the right selection of roof window, skylight or dormer design to fit your home. He may also suggest adding additional framing and insulation so your roof and new window remain strong, secure and watertight. A window installer knows a lot about windows but will be less knowledgeable about roofs and their special problems and needs. 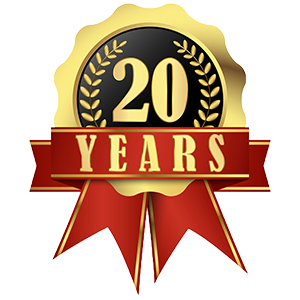 For the best long term result, get your roofer involved in the process and take his advice to protect the integrity of this most protective part of your house. 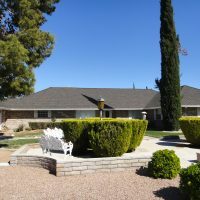 Prestige Roofing has been serving the Las Vegas and southern Nevada area since 1995. We offer full service roofing, including new roofs, maintenance, custom roofs and roof fixtures, including roof windows and skylights. We advise that your annual roof inspection also include your skylights and roof windows so that cracks, leaks or loose components can be caught early and water intrusion into your home prevented. Adding a roof window or skylight will not only add beauty and value to your home, it will make your home more comfortable and enjoyable for you and your family. 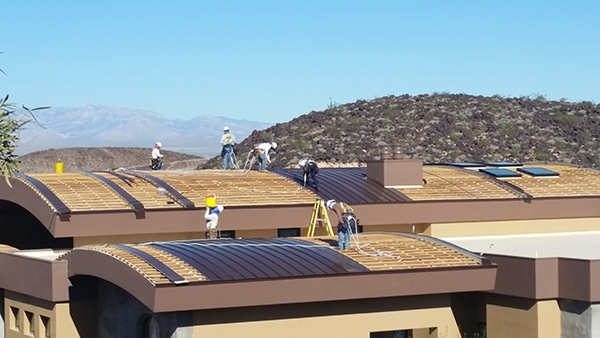 For help with a new or existing roof window in Las Vegas and Southern Nevada, contact Prestige Roofing today for a free estimate.